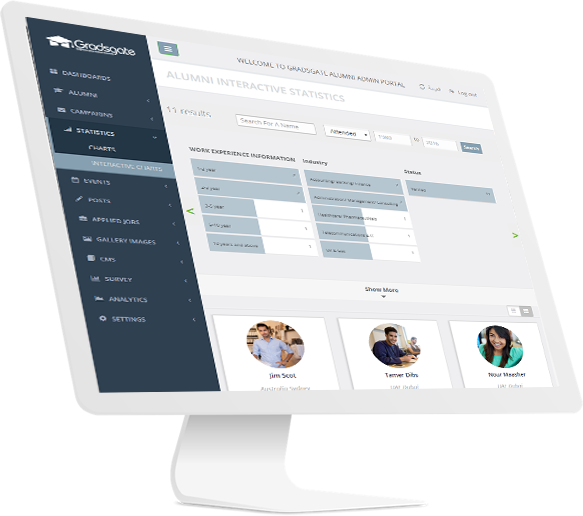 Know more about your alumni – where they are and what they are doing without going through all the manual efforts from phone callings to data entry, our system automatically updates your alumni information from their social netorls. 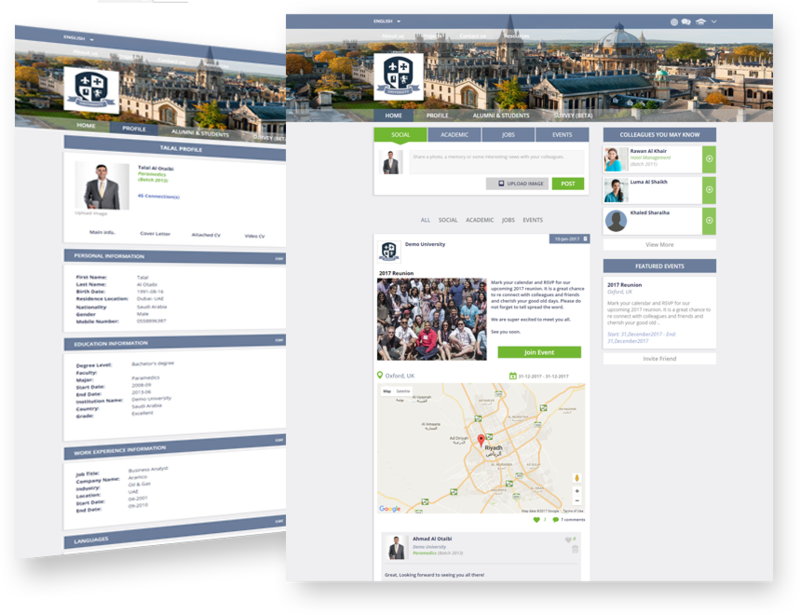 Our platform facilitates alumni communication by offering means of communication (connecting, messaging, posting socially, professionally and announcing jobs and events) from a single central hub. Map out the opportunities that are created within your community by location, industry or individual. Hivebrite delivers the right information, to the right people. 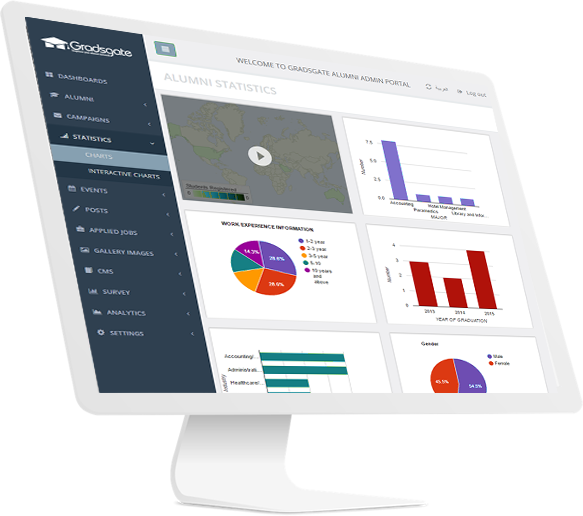 The Gradsgate team is made up of experts in building social network websites. We master all the stages of the project : product management, data management, software development, outsourcing, community management and web marketing. We will advise you and assist you in managing your campus network.